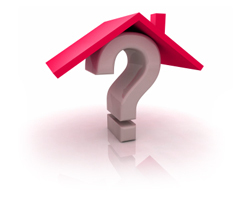 When choosing a letting agent it is essential to choose an accredited agent. Hicks Hadley are proud to be qualified members and accredited by of The National Association of Estate Agents (NAEA) and the Association of Residential Letting Agents (ARLA). ARLA is the governing body for letting agents in the UK and its policies develop and maintain the highest possible standards. Choosing Hicks Hadley to let out your property is a guarantee that every aspect will be handled professionally and efficiently. When instructing Hicks Hadley to let your property we will explain our range of management service levels. 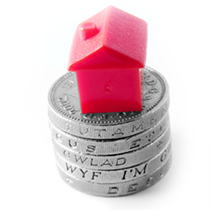 As we are a fully independent agent we are able to tailor make bespoke packages to suit every Landlord, from Landlords having a hands on day to day management role to Landlords who may be overseas or would just like to use our maintenance hub property management and accounts team to take care of their investment; we are able to cater for all. To find out more about our standard service levels click here. The marketing of your property is essential to ensuring a suitable tenant is found for your property. Make sure you chose the agent who can provide fantastic local press coverage, prominent high street window displays and excellent internet and property portal exposure. 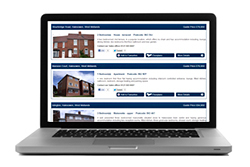 As soon as Hicks Hadley are instructed to let your property, your property particulars are marketed immediately in our branches, uploaded onto our website and matched with applicant's requirements on our extensive database. Not only will your property details be advertised in the local papers, but they will also be uploaded to a number of property portals including: Rightmove, Zoopla and Prime Location. One of Hicks Hadley’s qualified and professional Lettings Advisors will organise and accompany any viewings. With our local knowledge of the area and your property we are able to answer any questions and explain the rental process to increase the chances of letting your property to the right tenant. The property market doesn’t close! That’s why we are open 7 days a week and bank holidays! As soon as an offer is received one of our fully trained Letting Advisors will contact you to fully explain all the relevant details of the Applicant who has submitted the offer along with any special conditions to help you decide whether or not to accept. We are proud to be the market leaders with over 22 years experience of successfully letting properties for Landlords and moving many high quality tenants several times, we pride ourselves on giving honest and professional feedback and advice to make sure the right tenant is found for your property. Once you accept an offer the potential applicant will be required to submit an application upon the property. Within this application process we will seek to confirm applicants affordability by assessing bank statements, wage slips, seeking suitable employment and previous Landlord references and carry out credit checks on each applicant to search for adverse credit and unlisted addresses.Once all references have been received we will discuss the whole application with you and we will be able to advise you on the suitability of your potential tenant. 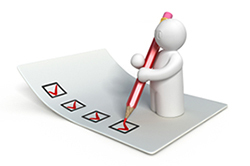 If agreed we then prepare the tenancy agreement, ensure all the Landlord’s legal obligations are undertaken, produce a full photographic inventory, meter readings (and full written schedule of condition if the property is fully managed by Hicks Hadley), collect the first months rent and deposit and lodge the tenants deposit within a government approved scheme.